Animals are always a fascinating study. 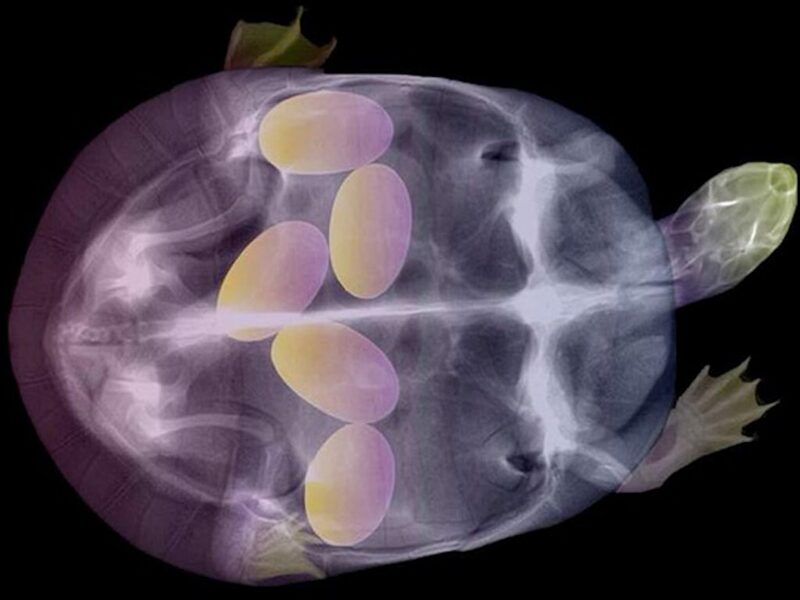 Being able to see them up close and personal with an x-ray view while they're pregnant? Awesome. Let’s take a brief moment to state the obvious: animals copulate. They have offspring. Some of which are, by generalized human standards, cute. Others are ugly ducklings. Unless you happen to work in a specific field where knowing as much about all things living on this planet is part of the job (zoologists, ecologists and ornithologists, we’re looking at you), the exact details of animal reproduction isn’t something you’re probably spending much time pondering. Even if your train of thought as it applies to animals like raccoons is one of consternation over their ability to pry the lid off your outdoor garbage can, there is something striking about an x-ray of a pregnant raccoon mother.